In recent times, the world is eating far too much sugar, and this has disastrous health consequences. More people are realizing that it’s a myth that sugar is just empty calories. As a result, many people are taking their diet and nutrition seriously and trying to quit sugar. However, sugar can be very addictive and many people experience withdrawal symptoms upon trying to give up. This article will explain how to recognize these signs and how to beat them. Sugar stimulates dopamine release in a similar way to class-A drugs. Dopamine is a hormonal chemical that affects our feelings and emotions, making us feel good (1, 2). People regularly consuming sugary foods have a delayed satiation response. As a result, they do not feel satisfied when full and seek out more food (3, 4). Animal studies show sugar to be even more addictive than cocaine (5). As you can see, sugar can be an extremely addictive substance. Therefore, giving up sugar for good isn’t quite as straightforward as we’d like. The symptoms of sugar withdrawal are both physically and emotionally draining. Later on in this article, we will go into these symptoms in more detail, but first, let’s take a look at what sugar addiction is. Key Point: Sugar withdrawal refers to the negative effects experienced when trying to give up sugar. Sugar is very addictive, and cutting it out of the diet can be difficult. If you eat a lot of sugar, one of the first questions you should ask yourself is whether you are addicted. When does just liking the taste and being “a little greedy” morph into full-blown addiction? Is there a difference? Could you quit sugar right now without difficulty? The truth is this: our society normalizes sugar consumption. As a result, the majority of people don’t even realize they may have an addiction. Emotional eating – had a bad day at the office and need a sugar fix? The desire to eat more food, even when you are full. Visiting a bakery and instead of buying one thing, choosing several and eating them all in one sitting. Feeling guilty about what you ate afterward. Often this guilt is because you didn’t want to eat the food in the first place, but couldn’t resist the urge. Eating sweet food only when alone, hiding it, and making sure there’s no evidence left behind (receipts/packaging). Key Point: There’s a fine line between overdoing it and an addiction: many people don’t realize they might have one. People suffering from sugar addiction often find themselves craving sweets. As a natural side-effect of this, they seek out and choose more highly processed foods. In other words, sugar addicts will also be eating lots of refined carbohydrates, vegetable oils, and possibly trans fat. All of these industrial products are very damaging in their own right (6, 7, 8, 9, 10). Unfortunately, these foods are what most people are eating every single day. In view of a recent study into American dietary habits, ultra-processed food contributes 57.9% of all consumed calories. On average, processed food contains 21.1% sugar by weight. A quick calculation suggests this means 12% of the average diet is pure sugar. It’s therefore not difficult to understand how hard it is for the average person to cut sugar from their diet. If any of this sounds like you, then the next step is to think about cutting sugar out. Key Point: Sugar addiction is very real and it’s often not recognized. Uncontrollably strong urges to eat sweet food despite not wanting to is a big warning sign. In truth, there’s no easy way to give up sugar. Despite this, knowing how to stop eating sugar gives you the best possible chance to succeed. Next time you go shopping, check labels carefully and don’t buy anything containing sugars. Ideally buy whole, single-ingredient foods. Go through your kitchen and remove any sugar-containing products (and no, you don’t have to finish them first!) If you feel bad about throwing food out, then how about donating it to a food bank? 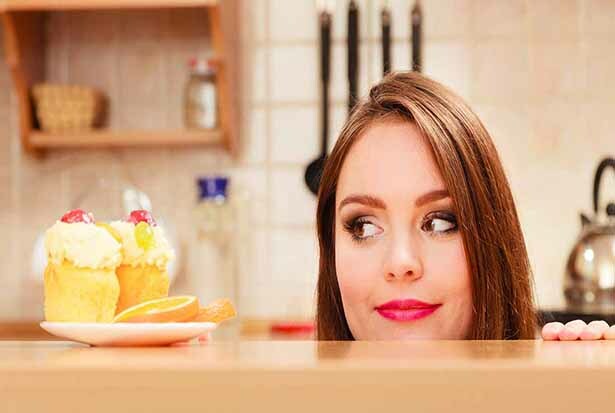 Tell your friends and family about quitting sugar – don’t be shy about it. This honesty provides two benefits – the first is that you can gain support and motivation from the people close to you. Secondly, you don’t have to make excuses for turning down random snacks they might give you. Eat enough food. This one is of particular importance. If you want to lose weight, forget about that for a while and concentrate on beating your sugar addiction. If you are hungry and addicted to sugar, you will fail. Energy-dense, nutritious foods like nuts, avocado, cheese and dark chocolate (85% or above) will help. Eat whatever, whenever, and as much as you want for the first several days because this is the hardest time. Make smart substitutes for the foods you currently eat. Instead of milk chocolate, replace it with dark chocolate. Rather than drinking a big glass of sugary fruit juice, eat a piece of fruit. Adopting a low-carb, high-fat (LCHF) diet full of healthy fats might be beneficial. Another key point is that dietary fat is not harmful. In fact, the idea that eating fat will cause us to get fat is one of the biggest lies of conventional nutrition. Key Point: Giving up sugar is extremely tough, but it can be done. Remember to include lots of nutritious food and don’t let yourself get hungry while making the transition. Symptoms of sugar withdrawal include extremely intense sugar cravings, headaches, and fatigue. Unfortunately, these are just a few of many. Headaches and fatigue are two of the most common side effects of giving up sugar. But often, many of these symptoms are simply down to not eating enough food. When people cut out sugar, they don’t replace it with healthier options. As a result, this amplifies hunger, sugar cravings and fatigue. It’s important to realize that these symptoms of withdrawal are short-term. It may feel like they will never subside, but the timeline for these feelings is usually less than five days. Key Point: Many people experience unbearable side effects from quitting sugar. Don’t panic though as they are only temporary – stay strong and they will pass. 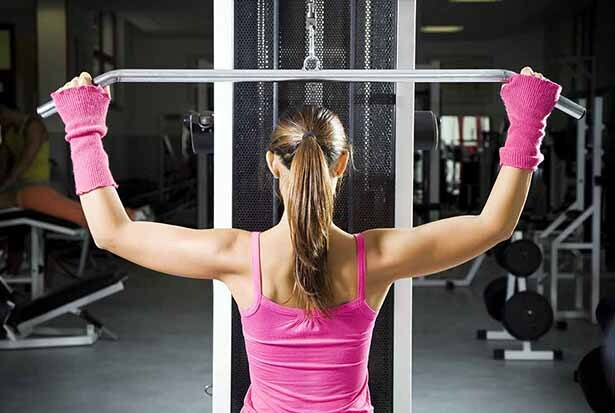 You can help minimize difficulties by adopting healthier lifestyle practices. Try and ensure at least 7 hours sleep per night. Studies show that sleep deprivation alters hormones that regulate appetite. In other words, less sleep may equal more cravings (11, 12, 13). Consider starting an exercise program. In addition to the direct benefits of working out, studies suggest that it also reduces cravings and decreases hunger hormones (14, 15). If you have any stress in your work/family life, then take some time for yourself. Find something you love doing and set some time aside for it each week. The enjoyment factor is important in life – and it’s essential to managing stress. 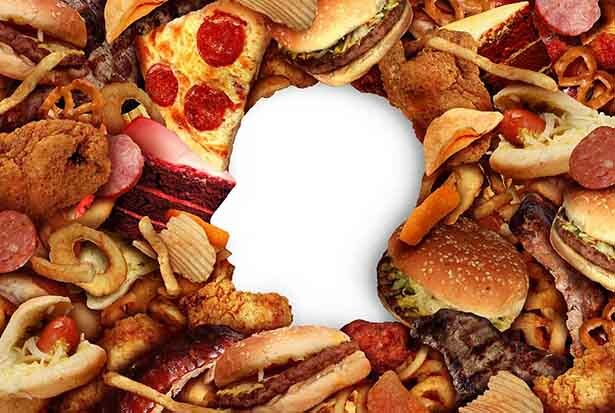 Not surprisingly, stress also impacts food cravings and causes people to overeat (16, 17, 18). Key Point: Lifestyle factors such as exercise, sleep and stress all play an important role in health. They can also strongly impact food choices. 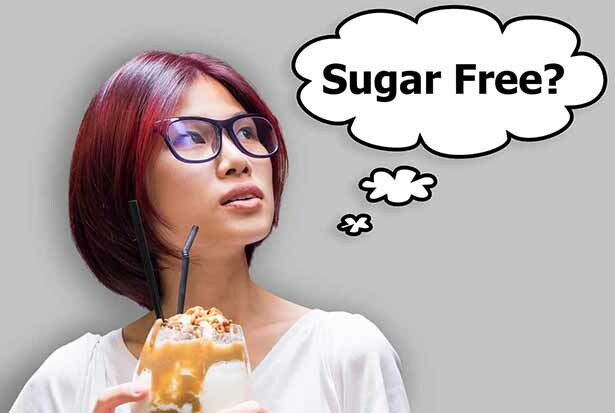 Paying attention to overall health will help you beat sugar withdrawal. Not only should you give up sugar, but you should also restrict starch, grains and other significant sources of carbohydrate while you quit. If you wish to restart these foods after you no longer have sugar cravings, then you can do so. 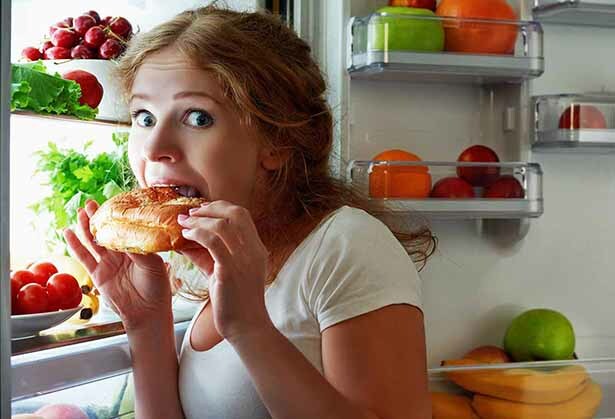 However, carbohydrate-dense foods spike blood sugar levels, which is known to stimulate hunger and cravings (19, 20). As a result, we want to keep carbohydrate levels down while you go through the stages of sugar withdrawal. It’s also important to avoid soda and other sugary drinks. Each of these foods will impact blood glucose levels, which may trigger more intense sugar cravings. In spite of sweeteners not affecting blood sugar, it’s probably better to avoid them at first. After overcoming sugar cravings, you can start to include healthier food choices that contain sugar. This includes foods such as dark chocolate and berries. Key Point: Avoiding all sources of sugar and starchy carbohydrate is the best option to beat sugar detox difficulties – at least initially. Whenever I see a discussion about sugar addiction or quitting sugar, I often see sugar substitute recommendations. However, if we look to the science then maybe it’s best to avoid any sugar substitute during the early stages of trying to quit sugar. You can add them back in once you are over the worst. Cutting out sugar is a tough process to go through, and many studies suggest that sweet taste alone is enough to trigger hormonal cravings for sugar. Sweetness without calories provides only partial activation of food reward systems in the brain, which may cause us to seek more sweet food. Artificial sweeteners encourage sugar cravings and sugar dependence, precisely because they are sweet (21). Out of 3682 individuals monitored for 7-8 years, those who drank artificially sweetened drinks had a 47% higher increase in BMI than those who did not (22). A controlled study showed that drinking aspartame-sweetened drinks increased appetite in young men compared to those who didn’t (23). 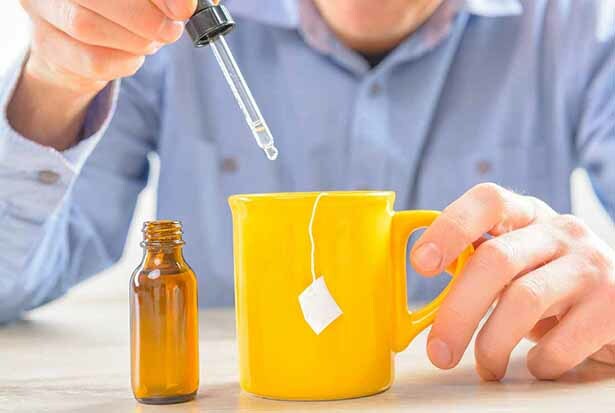 Most of this research is on artificial sweeteners, but limited data is available on newly popular ‘natural’ sweeteners at this time. 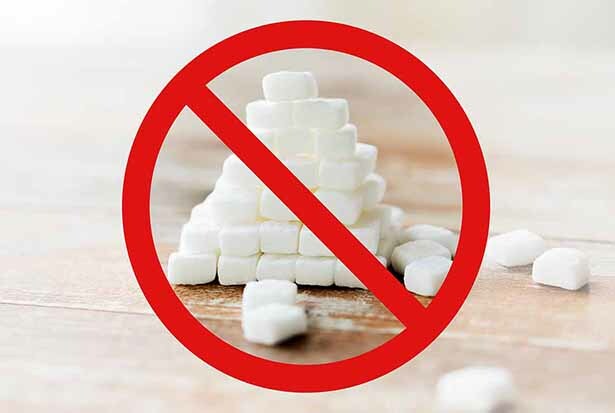 If you want to abstain from sugar, then you don’t want to be craving a sweet taste. Key Point: Despite being non-caloric and free of sugar, sweeteners may also increase sugar cravings. Often, people make the decision to quit sugar with the best possible intention. However, when they see the amount of food products that contain it, they feel overwhelmed. If they manage to get past this, then the symptoms of withdrawing from sugar are often too much. It’s common knowledge that sugar can cause weight gain and diabetes. But the real extent of the damage sugar causes is lesser well known. Sugar and cancer: Sugar’s impact on inflammatory pathways increases the risk of cancer (24). Sugar and heart disease: those getting 17-21% of calories from sugar have a 38% higher risk of dying from heart disease than people eating less than 8%. This association persists as sugar intake rises; increased sugar intake, higher risk of death from heart disease (25). Sugar and Alzheimer’s: Higher blood glucose levels lead to increased amyloid beta plaque in the brain. This plaque is a major factor in the development of Alzheimer’s disease (26). Sugar and Diabetes: Many large-scale studies suggest sugar consumption is a driver of diabetes independently of obesity (27). Sugar and mortality: Controlled animal studies show human-relevant sugar consumption increases all-cause mortality and reduces lifespan. Further, this remains the case when the diet is highly nutritive except for the sugar content (28). As you can see from this, losing a few pounds isn’t the only reason to refrain from sugar. Key Point: Sugar doesn’t only cause weight gain – it is linked to the worst chronic diseases in the world. The more you eat, the higher the risk. 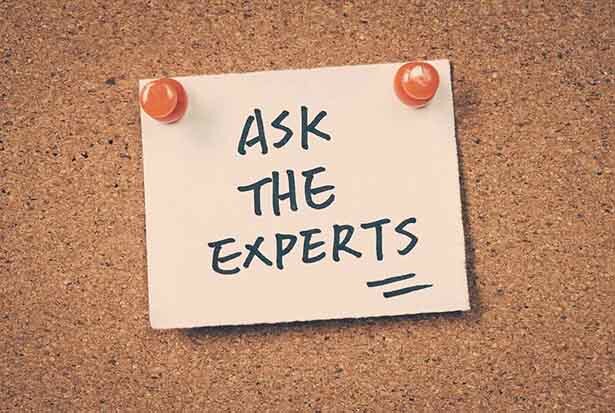 Here are a few expert tips from people in the nutrition world. Go slowly and, if applicable, involve the whole family. We must involve the children and all eat sugar free, because chronic health conditions don’t happen overnight, they take decades to develop. Start now to reap the benefits later. Make simple changes to begin with, start slow and learn to make your family favorites by simply removing the sugar and processed carbs. Strive for improvement, not perfection. Libby, founder of www.ditchthecarbs.com – one of the biggest low-carb websites in the world. Here Libby from Ditch the Carbs gives some great advice on how to involve the whole family. Additionally, she makes an excellent point: perfection doesn’t always happen straight away. In other words – keep at it! I like to prevent sugar cravings before they start. For many of my clients, eating enough fat and protein, particularly at breakfast, helps minimize sugar cravings throughout the day. Registered Dietitian Lily Nichols makes a great point here. The best way to deal with sugar is to stop cravings before they start – from breakfast onwards. For anyone who is seeking guidance and support, Lily also offers nutrition consulting services on her site. What worked for me was to replace sugar with low carb sweeteners like stevia and erythritol. As time went on, I slowly reduced the amount of sweets I consumed and my cravings for sweet foods have diminished. Cutting carbohydrates and increasing fat has also helped me to break away from eating sugar. Lisa, founder of lowcarbyum.com and creator of lots of delicious recipes. Further great advice to follow from Lisa. Increasing healthy sources of fat and cutting carbohydrate does a great deal for satiety. Making sure you eat enough fat will also make getting through the sugar withdrawal phase easier. My recommendation to beat sugar cravings is to eat healthy food regularly. If you need to snack, then snacking on dark chocolate, fruit and vegetables are a great way to curb those desires for sugar. Jenny also provides some excellent advice here – if we are craving sugar, then making sure we eat enough is essential. If we are full, then the intensity of cravings reduces. Regarding fruit, a mixture of fresh berries with cream is a great, tasty way to fill up. The motivation to give up sugar is a great start, but quitting for good requires commitment and persistence. Depending on the person, how much sugar you used to eat, and some other factors, detoxing from sugar might be very tough. Eat lots of nutritious food, don’t fear healthy fats and don’t let yourself feel hungry. Seek help and support from people close to you in your life. Remember all the benefits you will get if you give up – use them as motivation. If you do all these things, and you have the true desire to quit sugar, then I’m confident you can do it. Thanks for such a well written article on the addiction of sugar. I have been addicted to sugar all my life and have come off it many times and always find myself returning back to it in times of stress. Seeing the reasoning behind the addiction has given me the strength to try again.. I already have a very healthy diet. I have already kicked caffeine. Yet sugar seems to be the hardest. Thanks again for the article. Sorry to hear about your troubles with sugar; refined foods certainly have addictive-like properties. A lot of people find it useful to considerably up protein intake, since protein has the biggest influence on our satiety levels. Might be worth a try while struggling. That’s great Lisa – I’m glad that you’re having success. I’m addicted to sugar. i suffer daily I really need and want to let go of sugar for good. I know it can be really hard to make a change, good luck with it and hope you manage to kick it. Bravo Michael – thanks for helping to spread such important info! Hopefully it can help people – something I’m sure your Food Addiction programs do.